Our Support forum is back up! Xtrema Data Cables are in! Download product manuals in the downloads section. Your are at the site one of the most trusted names in R/C battery charging and smoke products. We have been manufacturing quality R/C products since 1992. 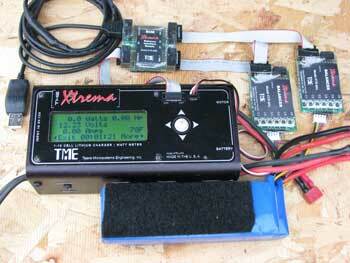 NEW Xtrema xG model ! We've gone DIRECT SALES on this charger and you save money! All our other products are still available through thousands of dealers nationwide, however, this special bundle is only available direct from us. Imported chargers have lowered the perceived value of a good charger. We wanted you to be able to afford our rugged US manufactured and over specified charger at a great low price, so we have dropped the middleman to give you the best of both worlds. Already have an Xtrema charger? This is a great time to get a spare charger to double up on your growing family of batteries. Read more and purchase this incredible deal here. Use YOUR Charger to SAFELY Charge up to 4 Ultra-Micro™ Batteries at a time! Forget buying AA batteries, forget about lugging around extra chargers, stop prematurely ruining your cells with the supplied fast charger. 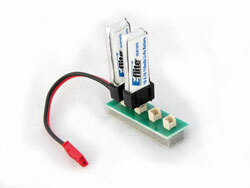 This cool new adapter allows you to safety charge up to 4 Ultra-Micro™ Batteries (E-flite® and ParkZone® single-cell LiPo batteries and the Kyosho Minium Series) with any charger that supports 1s (3.7V) Lithium batteries (like TME's Xtrema Charger) via a standard JST connector. It is designed to allow the you to connect 1-cell batteries utilized by ParkZone’s Vapor™, Ember™, Ember 2 and Sukhoi, and E-flite’s Blade® mCX via a JST connector to the charger of your choice. The adapter connects them in parallel accommodating batteries of different capacities. By charging in parallel the only requirement is that all cells must be near their normal discharged state before connecting together and consequently charging. You have complete control over the charge rate allowing you to choose a safe 1 hour charge for max battery life. Copyright (c) 2004 - 2006 Tejera Microsystems Engineering, Inc.